Located close to Washington D.C., Maryland packs plenty into its relatively small size. Whether you’re visiting the state in the spring, summer, fall, or winter, each season promises a unique and exciting way to experience the state. A great alternative to its much pricier neighbors, the “Free State” has much to offer residents aside from its low cost of living. Here are three of the top reasons to consider moving to the ninth smallest state in America. One of Maryland’s greatest assets is its abundance of culture, which extends beyond its major metropolitan cities into quieter areas of the state. Silver Spring, MD features the American Film Institute, while Takoma Park hosts the Takoma Park Folk Festival, running since the late 1970s. Fans of dance take part in the fun at a dance center in Gaithersburg, MD or watch performances at Impact Dance performing arts studio. Art enthusiasts can experience modern, 19th century, or contemporary art at Baltimore’s Walters Art Museum or the Baltimore Museum of Art. Downtown Frederick’s Public Art Trail, known for its diversity of murals, is also well worth the trip. Music lovers will also appreciate the Annapolis Symphony Orchestra, Baltimore Symphony Orchestra, and the Bethesda Blues and Jazz Supper Club. 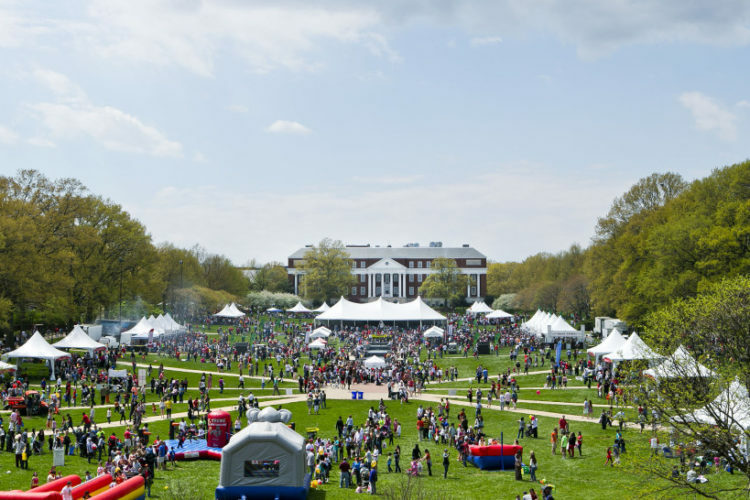 Maryland is also a great place for aspiring artists and fans of culture to study, offering multiple accredited liberal arts degree programs for students who want to fully immerse themselves in a broader approach to the world. Perhaps best known for its oceans and crabs, Maryland is also a state steeped in a multitude of natural wonders. From mountains to beaches and rolling farms, the state is representative of a variety of environments and landscapes. Outdoorsy types can hike, raft, or climb along the Potomac River, or take in the views from Sugarloaf Mountain. There are plenty of other trails, too. Seafood fans will want to check out the Maryland Crab and Oyster Trail, while budding sommeliers will appreciate Maryland’s eight different wine trails, which tour vineyards with several notable wine varieties. Another in-demand spot is Green Ridge State Forest, which provides nature-lovers of all ages and interests with hunting, fishing, paddle boating, and multiple campsites. For those who prefer sand between their toes or fresh-caught seafood, it’s hard to beat Assateague Island. Other popular beaches along Maryland’s Atlantic coast are Chesapeake Beach, North Beach, and Ocean City, featuring rides and attractions in addition to its stretches of ocean and sand. Maryland is an excellent place to consider for aging populations, too, thanks to its plethora of high-quality health care options. In fact, Maryland is known as having some of the best hospitals in the country, with John Hopkins Hospital ranking nationally in both pediatric and adult care. This makes it an ideal choice for those looking to relocate and start a family, or are seeking a pleasant locale to retire. Whether you’re looking for a health center in Baltimore, MD or are seeking physical therapy in Silver Spring, MD, you’re bound to find thoughtful, expert care. Maryland also attracts high-profile medical students and doctoral candidates, thanks to John Hopkins University and the University of Maryland-Baltimore. Young or old, Maryland offers plenty to its population in the way of medical care. Those looking for a new lease on life will find much to appreciate in Maryland. From distinct areas of natural beauty to arts, culture, and favorable hospitals and healthcare, the state’s bountiful offerings make a life made in Maryland time well-spent. Experience Maryland for yourself and see what makes it such a popular destination.